With the primal of serving clients with uttermost satisfaction, we are influential in manufacturing and supplying best in class EOT Cranes. These cranes are much applauded in the market for high durability and high functionality aspects. 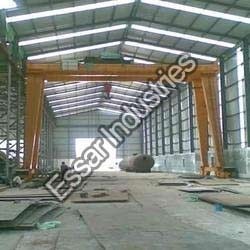 In addition to this, our offered cranes are supplied to customers under various preferences for serving vast clientele base. Can easily be fitted with array of equipment. We have firm devotion in manufacturing and supplying superior quality Goliath Crane. These cranes are much applauded in the market for excellent strength and rust-proof finishing aspects. 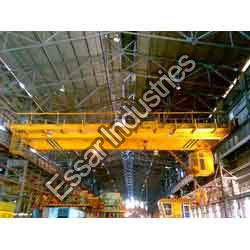 We have with us wide variety of these cranes for supply to customers as per their requirements. We have gained wide acceptance in the market for manufacturing and supplying superior quality Grab Cranes. These crane.s are known for superior finishing and durable traits as these are designed with the use of high-end technology. Fabricated in various preferences for serving wide needs of customers, these crane.s have intense use in the market. Used for handling materials such as Waste, Powder Materials like Fertilizers, Coal, Mill Scale, etc.